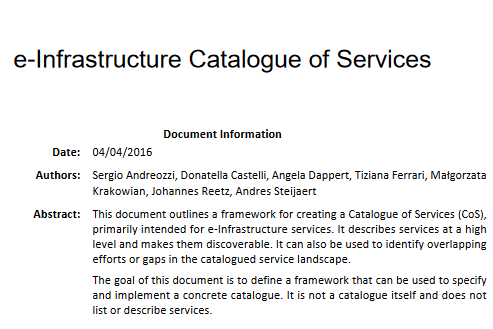 Donatella Castelli, CNR-ISTI and BlueBRIDGE Coordinator, actively conributed to the writing of the report "e - Infrastructure Catalogue of Services". BlueBRIDGE brings together researchers from different domains, policy makers, educators, and private companies in a virtual environment where they can collaborate, share, and re-use research outputs, creating a bridge facilitating the cross-fertilization of results among different disciplines, thus achieving the aims of the European Cloud Initiative. 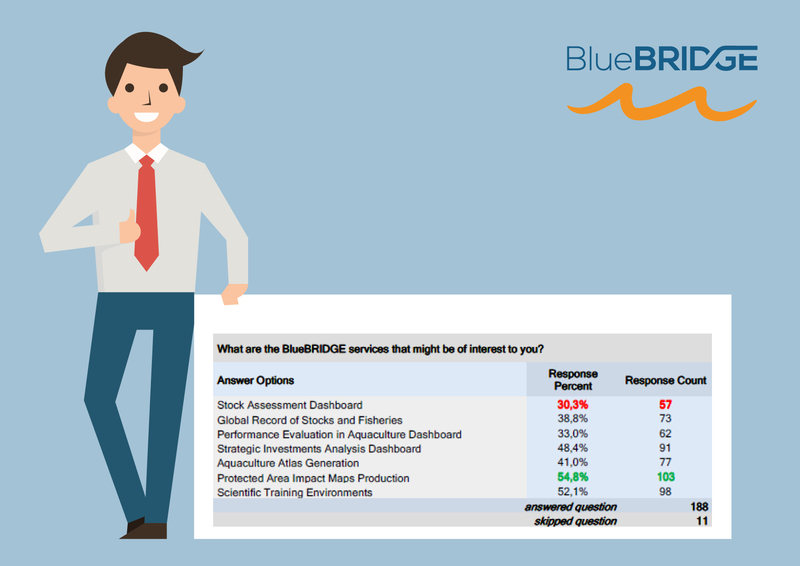 In addition to applicability in public and academic sectors, BlueBRIDGE - the H2020 e-Infrastructure project of the European Commission that delivers tailor-made data management services in the field of aquaculture - shows strong compatibility with and great potential for private businesses, according to a survey BlueBRIDGE conducted earlier this year. This application of BlueBRIDGE’s services could have significant ramifications for the whole of the EU economy. How do VREs contribute to making Europe the best place for research & innovation? 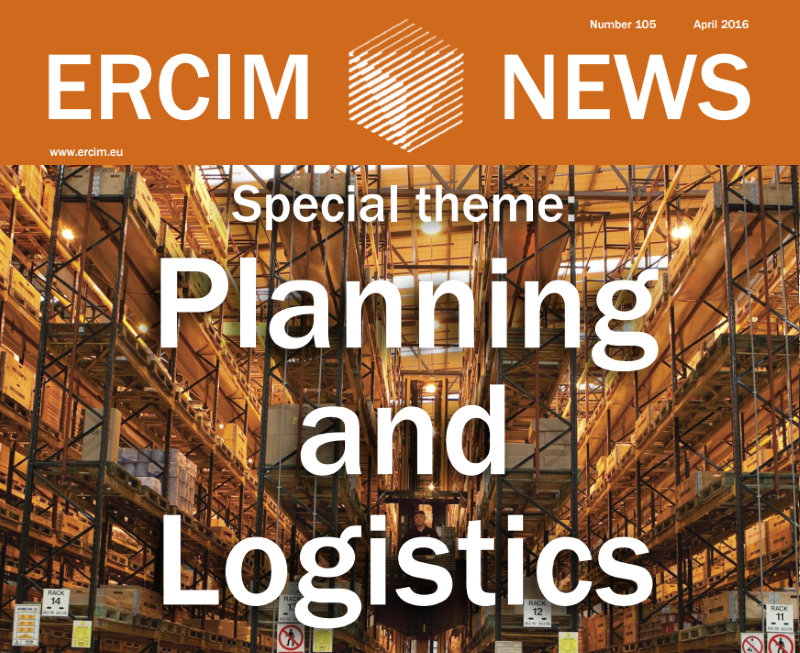 Find out in the latest eInfraEU publication! 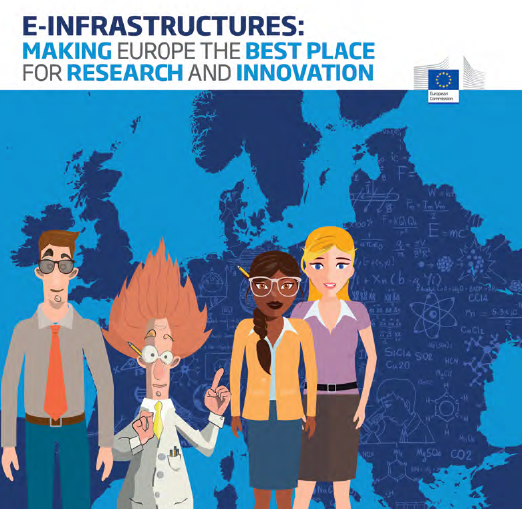 Sara Garavelli, Trust-IT Services & BlueBRIDGE Outreach Manager, actively contributed to the writing of the booklet "E-infrastructures: making Europe the best place for research and innovation". 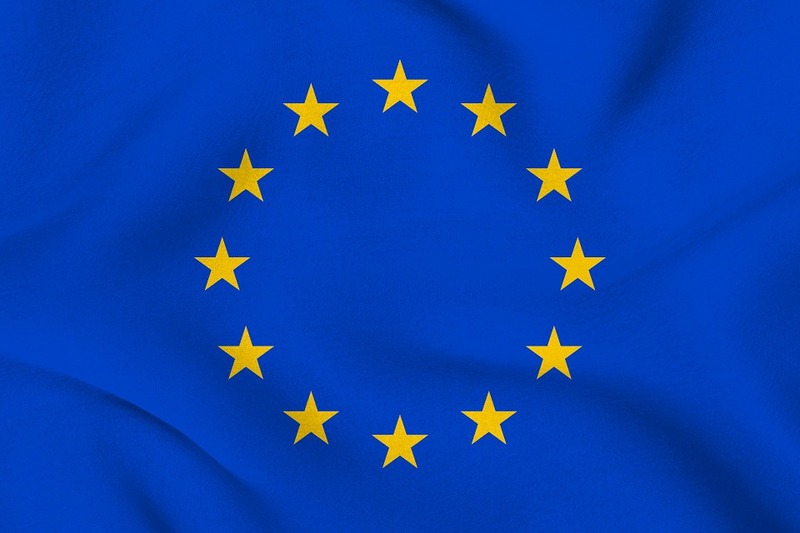 The Commission High Level Expert Group on the European Open Science Cloud (HLEG EOSC) released the draft of their first report available: A Cloud on the 2020 Horizon. Realising the European Open Science Cloud: first report and recommendations. This year's European Maritime Day conference, hosted in Turku, Finland, 18-19 May 2016, was dedicated to "Investing in smart and sustainable solutions for competitive Blue Growth". The perfect setting to showcase the innovative technologies that BlueBRIDGE is developing to support different stakeholders operating in the Blue Growth sector. The focus of the workshop was placed on the current challenges that Blue Growth sector data practitioners are facing and on their needs in terms of data management services. Pasquale Pagano, CNR & Technical Director, BlueBRIDGE, article "Hybrid data e-infrastructures: VREs as-a-Service" is part of the latest EGI newsletter. 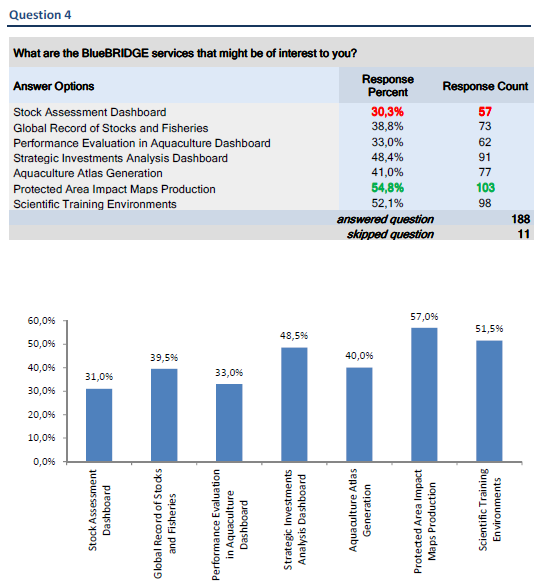 Pasquale writes about how VREs are helping 900 users in the fisheries community with BlueBRIDGE contributing directly to this. See an extract taken from the article below. The latest BlueBRIDGE article "How Science can Improve Marine Ecosystem Predictions: the BlueBRIDGE Case" has been featured in the ERCIM news No 105! 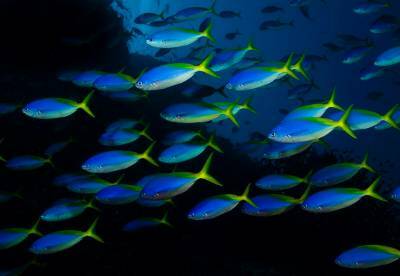 The Article looks into how BlueBRIDGE can support the process of Ecopath with Ecosim food web models creation by making available for Ecopath a seamless access to different species, fisheries and environmental data sources. 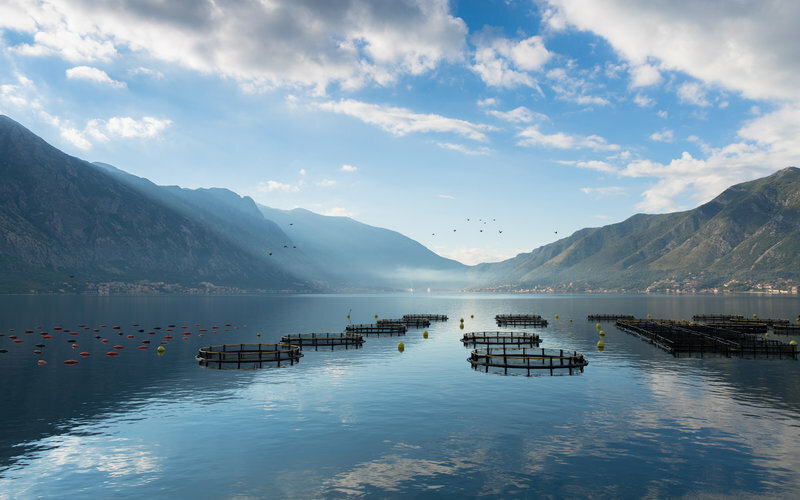 Aquaculture is receiving considerable interest because of the increased consumer demand for fish and shellfish and a decline in the catches seen in the world’s fisheries.